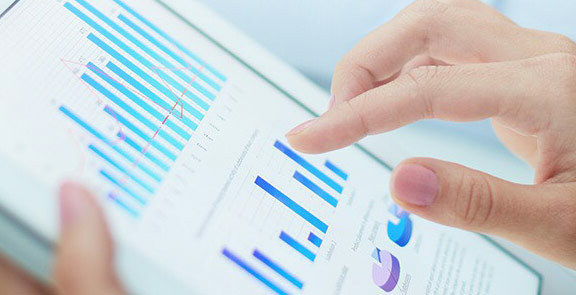 CleanChain, an ADEC Innovation, is an application designed to increase long-term profitability throughout supply chains by demonstrating and improving their sustainable business practices and processes. 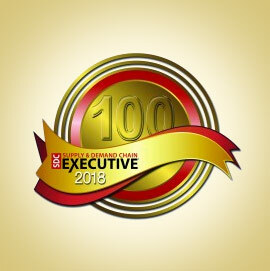 CleanChain provides a secure, central solution for suppliers to more effectively run their businesses and be rewarded for doing so. With safer chemistry, we can help create thriving, long-lasting supply chain relationships that improve the quality, health, and well-being of our planet, our drinking water, our society, and our global communities. MAS Holdings makes a CleanChain connection with ADEC Innovations in journey toward elimination of hazardous materials. 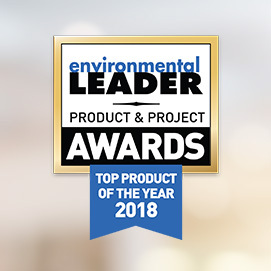 ADEC Innovations receives Environmental Leader's Top Product of the Year award. 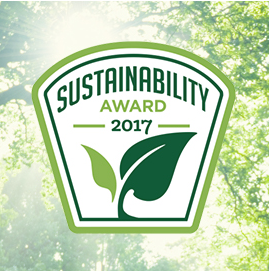 ADEC Innovations' CleanChain recieves Major Sustainability Awards. 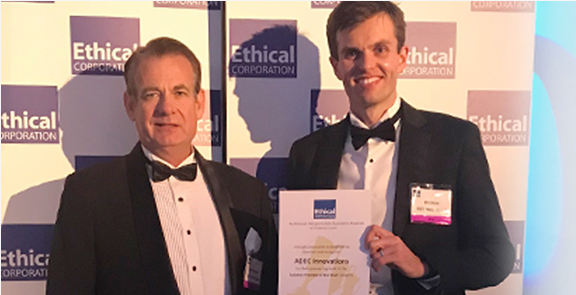 Represented by Co-Founder and CEO, Mr. James Donovan and Director for the UK, Mr. Ben Wilde, ADEC Innovations is presented a certificate and recognised by Ethical Corporation as a finalist in the Solution Provider of the Year category at the 2017 Responsible Business Awards. 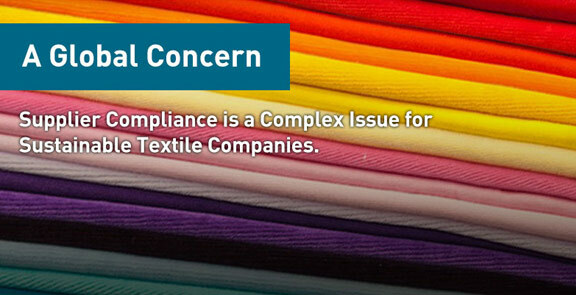 Supplier compliance is a complex issue for sustainable textile companies. 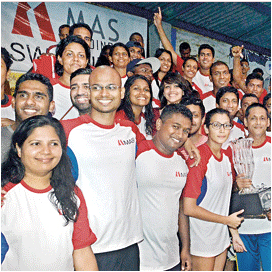 Clothing brands also have their own requirements and standards for their suppliers. Levi Strauss & Co. has a Sustainability Guidebook that specifies its labor, health and safety and environmental requirements for its manufacturing suppliers. In this special guest feature, Chris Haddock, a software product manager with ADEC Innovations, discusses how the foundation of a machine learning project for companies large and small is training data that will be used to teach the machine to recognize patterns. The quality of the training depends on the quality of the data input. Creating this data set is not always a simple matter. 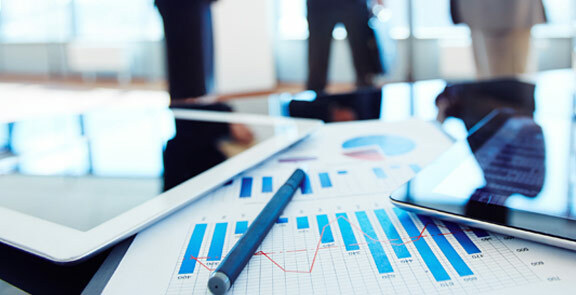 Trends ranging from globalization to social media, to rising consumer demand for responsibly and sustainably produced goods have transformed the role of the supply chain. 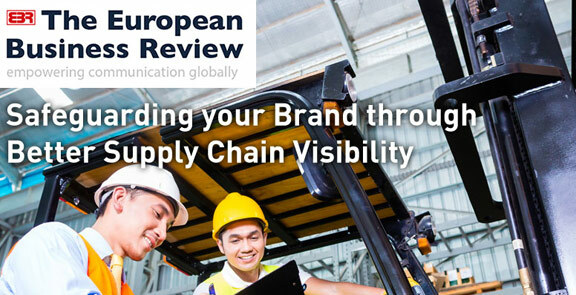 Your supply chain today is very much an extension of your brand – with the power to bolster or harm your reputation. Even the most praised brands are susceptible.